I am Miss Fiercely Independent aka Claudia Blanton, and I want to welcome you to my little corner of internet haven. I am the victim of domestic financial and emotional abuse. My husband controlled my income, every penny I spent, and how much I could make. I know how it feels like when a Mother-In-Law reports back that how I spent too much at the grocery store – in her opinion – to my husband. I know how it feels to be moved away from advancement opportunities, and chances to further my education – because, well, he wanted it to be so. I also watched him destroy a successful business, because he did not want to take my advice – his reasoning, he gave to me (and my then teenage daughter) was, that we are only trying to control his money. Because of financial abuse we went from making 25,000 Dollars a month – to living in a 1 bedroom extended stay place – with 2 kids and (at that time) three animals. He destroyed my previous online business, just when it started to make some money – simply because his mother needed him, and we needed to move – right away. When we had kids, we both decided, we did not trust the school system, so we would homeschool, which tied me even more to him. While I do not think to stay at home with your kids is a bad thing, and homeschooling is a good option – it is for some families – it can be a way to open doors to financial dependence, that is downright abusive. Even if you are lucky and have a supportive spouse and family, the money can be tight, and many opportunities and activities have to be postponed due to the financial burden. So whether you want to make sure that there is an equal power dynamic in your home, want to fill some of your free time with a meaningful side-hustle you can be proud of, or you just want some extra money for travel, and other fun things, I can guide you toward making this dream a reality. With more than 9 years of online business experience in marketing, and sales, as well as being an accomplished digital artist, selling original pieces of art, via many venues, I can guide you to find your own way to create an income from your own home. 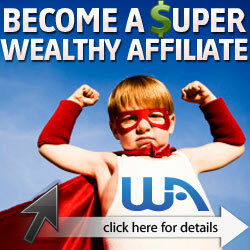 If you are completely new to working online, I suggest that you start, by joining the Wealthy Affiliate community for free (the starter membership is always free, but you get a free 7 day premium membership when signing up – plus access to a massive online learning library, such as certification courses, training modules, weekly webinars, keyword search tool, and website hosting. Click on this link, and get started today! Wow. What a great story. Thank you so much for sharing it. I can certainly understand the need for independence. It’s so hard to find sometimes. We were raised to be pleasers then please ourselves last…except “last” never seemed to come. I’ve always been independent in spirit but always felt guilty because I was being told I was selfish. But then I realized those people felt challenged and intimidated by my “freedom”. What a eye opener. Thank you again for making me feel proud of how far I’ve come. Thank you, Sheila – I have been waiting to share it at the right moment, when I am finally in the position to help someone else. I so remember that guilt – oh how debilitating that is! Yes, that “last”, never comes, there is always someone or something more important than us, and only when we choose to regain our power will we ever reach what we deserve. Honestly, the strongest thing I empathize with this so strongly about is that having to rely on others for help, especially income! I love this story because I give you props on being a military wife and doing all you can in supporting your husband and your family. Independence for me, means becoming financially independent. To give me the opportunity to do what I want and when I want without having to second guess if I can do it or not! With that, is also having my goal for this year to be able to do exactly that! Thank you for your story and thank you also for sharing. thank you, Maximo. I am sure you are on your way to achieve exactly that type of independence you are looking for. Blessings! I really love your story and how you are taking control of your situation. I come from the other perspective the sole income earner (male) in my family. This was a choice so my partner could be at home with our babies as we both thought this was a priority. So thank you for reminding me of the these feelings and what can be done. glad you took the time to read my thoughts. It is wonderful to hear from a spouse who wants to make sure that their partner feels secure, even if there is financial dependence. Open communication will alleviate this resentment – as long as both of you feel that you can express yourself equally, and both of your emotional needs are met, this can very much work. My scenario is sadly the more prevalent story out there – a dependency without communication. So I applaud your effort. This is a n awesome site. thank you for sharing. we all need some motivation and inspiration from time to time and you are very inspiring. Thank you. Thank you, Marlene, I am glad you found what I wrote inspiring, that is sweet to hear – blessings! Thank you so much .You make website good. Hi Claudia! Just visited your site and I like what I see. Well done and just keep going. Also inspired by your About me page. I love it! I to have to be independent financiallyso we have a lot in common! thanks Barb – I really do appreciate your support – let me know if there is anything I can assist you with – blessings!